Product categories of Aluminum Cnc Turning Machining, we are specialized manufacturers from China, Aluminum CNC Turning Machining, Motorcycle Wheel Hub suppliers/factory, wholesale high-quality products of Bending Tube R & D and manufacturing, we have the perfect after-sales service and technical support. Look forward to your cooperation! Aluminum products made from aluminum and other alloy elements.the density is small ,aluminum and aluminum alloy is close to 2.7g/, about 1/3 of that of iron or copper.The conductive and thermal conductivity of aluminum is second only to that of silver, copper and gold.including a variety of type. CNC Turning Machining aluminum is the workpiece is fixed on the lathe, using high speed rotating machine drives the workpiece to turning. tool on the workpiece so the product shape is round.The machining precision is 0.01mmand concentric 0.01mm of the CNC turning machining. The processing materials are commonly used in aluminum(6061,6061-T6,6082,6083 and so on). Product surface treatment has anodized,polishing,brushing,sand blasting, powder coating, laser engraving LOGO, etc.We have specialized equipment to test products,these instruments include: TESA Grohe, micrometer, projector, calipers. CNC machining application in a variety of industries, including: cars, ships, communications, medical equipment, industrial automation equipment. 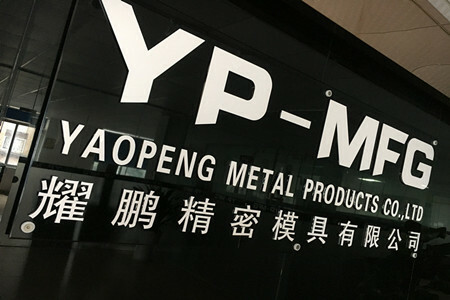 Copyright © 2019 YaoPeng Metal Products Co., Ltd. All rights reserved.